• Some nuts grow on trees (such as walnuts, almonds and brazil nuts) but some also come from the ground such as peanuts. Peanuts come from the same family as beans and peas! • Nuts are a fantastic source of dietary fibre, protein and many vitamins and minerals such as folic acid, vitamin E, magnesium and iron. • Nuts contain a high fat content but these fats are healthy fats called monounsaturated and polyunsaturated fatty acids. These fats can help reduce cholesterol and therefore reduce the risk of heart disease. • The Irish Heart Foundation recommends eating nuts as part of a healthy balanced diet. • Walnuts contain Omega 3 fatty acids. These have been shown to help protect against heart disease and stroke and also have anti-inflammatory effects which help with joint stiffness and joint pain. • Nuts have a low Glycaemic Index (GI) which means their energy is released slowly when eaten keeping us fuller for longer. 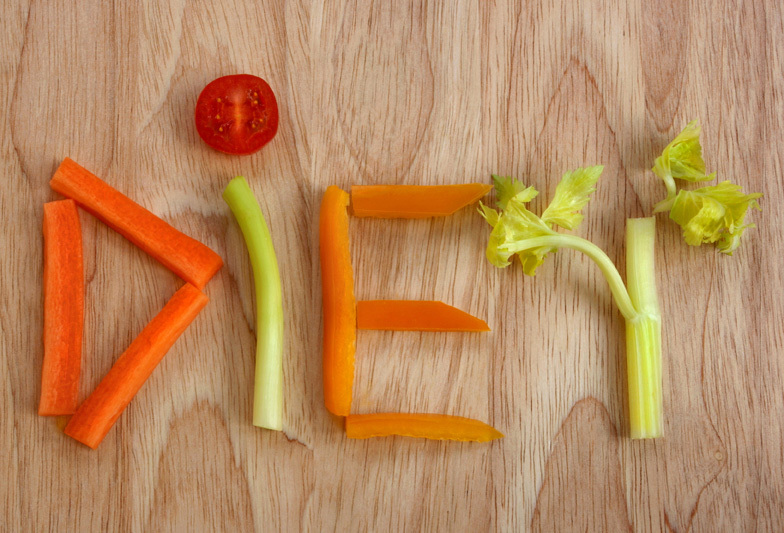 This means we eat fewer calories throughout the day which is better for our waistlines! • Peanuts and other nuts are common causes of food allergy psrticularly in adults. If you have been diagnosed with a nut allergy always check the ingredients and avoid if you are unsure. • Make your own muesli using a variety of nuts, seeds, cereals and fruit. Nutrition is a very ‘hot’ topic, especially when it comes to kids. This blog is aimed at parents, to give some insight into the world of nutrition, healthy eating for kids & the new ‘epidemic’ of the western world – childhood obesity. Despite the fact that millions of euro have been pumped into health promotion over the past 20 or more years, advising us to eat less fat, to take more exercise, to be a healthy weight and so on, the statistics show that our health has worsened significantly, our body weight has increased significantly, our diet it as high in fat as it has been for the past 10 years, and our knowledge our nutrition & healthy eating is appalling! So how confident can we be that our knowledge of children’s nutrition is up to scratch if we are so unsure and confused about what we, as adults, should be eating? Did you know that if your child consumes a super-sized takeaway meal (such as a burger, large fries, large drink and a dessert/milkshake/ice-cream) they would have to run a full 26 mile marathon to burn off the calories in this meal? If not, then maybe you should read on! Infants are meant to be plump! They have special fat called ‘Brown adipose tissue’ which is very metabolically active, and essentially is like a little furnace to keep babies warm. Babies should double their birth weight by 5 months old & they should weigh three times their birth weight by their first birthday. Percentage body fat should start to decrease after the first 12 months. Therefore a very plump 2 or 3 year old may be cause for concern. New guidelines suggest that a child should now be assessed for overweight/obesity at their 2nd birthday. There is a very fine line between a “Fine healthy child with puppy fat” and an obese child at risk of life threatening medical problems. At present, it is predicted by health experts that children may well die before their parents in this generation, from preventable chronic diseases. Obesity is a very complex issue, with a very complex aetiology. It is the end result of many factors such as genetics, underlying medical conditions, diet, physical activity level & other environmental factors. Organic or medical causes of obesity, such as hypothyroidism, are rare. In fact 95% of cases of obesity in children are nutritional and lifestyle in origin. Obesity cannot occur unless there is nutritional abundance, i.e. too much food or calories. Lifestyle of adults and children has changed dramatically in the past few decades. TV/video viewing, computer games & the internet have taken over as the preferred pastimes for many children in preference to physical activity & organised exercise as hobbies. The apparent decrease in priority of physical education in schools has also compounded this problem. The psychological effect of obesity in children can be quite profound & should not be underestimated. Bullying of obese children is frequently reported. Obese children are more likely to be viewed by their peers as lazy & unfit, although this is wholly untrue. Research has revealed frightening statistics on the current overweight & obesity levels. In Ireland, over the past 20 years there has been a 127% increase in overweight and obesity, and Ireland now has the second highest rate of obesity in Europe. This unfortunately includes children living in Ireland, so our eating habits & lifestyle choices are certainly rubbing off on our kids. This equates to over 300,000 children and the epidemic is growing at a rate of 10,000 new cases every year. So that’s the equivalent of Park Stadium, full, four times. That is most certainly a health problem of epidemic proportions. It would be very convenient to blame our “genes” or those of our ancestors, but this silent epidemic has numerous possible causes and far reaching consequences if not tackled seriously now. Last year I attended a childhood obesity conference and had the pleasure of listening to research results from consultant paediatricians based in Great Ormond St Childrens’ Hospital London. They have identified 15 different genes which may increase a person’s risk of obesity but even if a child had all the genes, it would only account for a 1 point change in Body Mass Index (BMI), which essentially means that the obesity epidemic is 99% related to nutrition & lifestyle factors. It is difficult to over-feed an infant who is breast-fed. The feed is the correct concentration, nothing has been added to it & the infant regulates their intake of milk at each feed. When they have enough they stop feeding! On the other hand, bottle-fed infants do not regulate their milk intake in quite the same way. The feed is often made up more concentrated than recommended (believe it or not! ), and/or solids such as baby rice may are sometimes added to the bottle. Bottle fed infants may also be persuaded to drink more then they need! Solids should not be introduced to your baby’s diet until the infant is 6 months old; these are the guidelines of the Irish Nutrition & Dietetic Institute & The Dept. of Health. Research into weaning practices in Ireland has shown that many infants are weaned onto solid foods too early and this leads to a much higher risk of the child developing obesity. Research has also shown that an increasing number of women are overweight themselves at the time of conception, which seems to compound the entire issue further in terms of diet and lifestyle factors that the infant is subsequently exposed to. The final piece to this puzzle is that recent research has also shown that mothers are aware of the correct age to wean their babies onto solids, but make a personal decision to ignore the scientific recommendations. All in all, this constitutes a proverbial recipe for disaster. If the infant cannot take the food from a spoon, then solids should be introduced at a later stage. Solids such as baby rice should NOT be added to the bottle. 3. Reduce the amount of energy (calories) in children’s diets by having a tailored diet prescribed by an experienced paediatric dietitian. You can search on www.indi.ie for a dietitian in your geographical area or log onto www.corknutrition.ie/sedi for a list of experienced consultant freelance dietitians in Ireland. 4. Set a good example to young children by eating healthily yourself. Easier said than done some days I hear you say! 5. Control treats. Remember that treats do NOT have to edible! Why not look at non-food options as treats for your child especially if your child has a tendency to gain weight. 6. Control portion sizes. Use child-friendly plates, bowls etc; Order children’s portion sizes in restaurants; watch out for the restaurants which offer and promote “Kids Size Me” menus (this is a recent initiative of The Restaurants Association of Ireland); limit food treats to ‘mini or fun size’ instead of giving children large portions or adult servings. 7. Encourage exercise. Children need to be active for at least 1 hour every day. This can be a formal sport or activity, or just playing with their friends, cycling, kicking a ball, playing rounders, chasing etc! The more fun it is the longer they will exercise for! Computer games can also play a role on the days when the weather is too bad to send kids out to play – Xbox, Wii Fit & dance mats are great indoor alternatives! If your child becomes overweight, do not embark on a DIY dietary regime as this may be totally unsuitable & nutritionally inadequate for a growing child. Strict dietary regimes are unsuitable in very young children especially the under fives. Babies and young children do not have access to food, that can’t reach it buy it, cook it or feed themselves, so an obese baby or young child has not done that to themselves! Consequently babies and young children will rely totally on parents / carers for treatment of the condition. Everyone who has responsibility for feeding the young child MUST be consistent – eg parents, guardians, child minders, creche staff, grandparents, siblings, aunts/uncles, babysitters, teachers etc. Women are gatekeepers for men’s nutritional health, but parents are gatekeepers for the nutritional health of their children. In the older child, where they probably do have access to food, and may also have plenty money to buy endless amounts of ‘unsuitable’ food, then treatment can be far more challenging. The child themselves must want to lose weight, or at least maintain their weight or “grow into it”. Assessment of your child’s condition by your GP is crucial at the initial stages to diagnose or rule out any organic or medical reason for the obesity. Referral to a qualified (MINDI) dietitian/clinical nutritionist is the next step, where your child’s weight problem can be dealt with in a sensitive & professional manner. In some cases the advice of a child psychologist may also be necessary & beneficial. Parents, be advised to resist the temptation of bringing your child to any other therapist or practitioner, or any type of slimming club as this can significantly increase the risk of your child developing an eating disorder later on. Any such “diet” prescribed by anyone who is not a qualified dietitian, may not understand the complexity of the problem is likely to advise on a very restrictive and grossly inappropriate dietary regime, which may adversely affect your child’s growth and development. Thankfully, qualified healthcare professionals & their titles will soon be protected, registered and regulated – See http://www.coru.ie/ for details. There are only 600 qualified dietitians / clinical nutritionists in Ireland. If your child is an inpatient in a hospital, you may be referred (or may ask to be referred) to a dietitian. However, in the community there is very limited access to HSE dietitians and long waiting lists are common. Ongoing HSE cutbacks are likely to further limit availability to such free services, and/or result in unacceptable long waiting lists. Furthermore, there are only 17 are full-time freelance dietitians in private practice (see the ‘SEDI’ section of my website www.corknutrition.ie/sedi/ for details of these dietitians throughout Ireland). If you have private health insurance, you may claim back between €13 and €45 per visit to a private qualified dietitian who carries the initials MINDI after their name. The sad reality is that a child with one overweight parent has a 40% risk of becoming overweight an overweight adult themselves, and a child with 2 overweight parents has an 80% risk of becoming an overweight adult with an increased risk of cardiac problems, diabetes, arthritis, skin disorders, respiratory disorders & psychological problems. Childhood obesity is a very serious, sensitive & complex issue that should be assessed & treated by qualified medical & health professionals only. © Niamh O’Connor, 30th September 2012. The intense media coverage of healthy eating and weight management issues every January is enough to bring up my Christmas dinner! None of the radio programmes or print media pieces that I’ve listened to so far this have been written by or presented by qualified dietitians! I’ve had to listen to umpteen so called experts over the past few weeks and I’ve about had my fill at this stage. Even Operation Transformation on RTE has crossed the proverbial line by introducing their weight loss expert as a dietitian! It only took me a mere 5 years in TCD to achieve this, yet she can seemingly be bestowed this new professional title by an over enthusiastic script writer. A bit Irish for my liking I’m afraid. One swift message to RTE via Twitter led to a fast correction of that experts’ introduction from week 2 and beyond! As with most of my colleagues on the Island of Ireland, we have given so much time (unpaid!) over the years to such interviews, and the seemingly astute interviewer always ends up summarising the topic of weight management and healthy eating as one of the following pearls of wisdom…..! 1. It’s not rocket science! 2. It’s all just common sense! Indeed I’d have to commend any journalist for figuring out that there is indeed no relationship between nutritional science and rocket science (or aeronautical engineering), except perhaps a ‘Mars’ bar being the exceptional link between the two topics! Neither can nutritional science be pawned off as just ‘All Common sense’! If it were just all common sense we wouldn’t have such a significant decline in the health of the nation, particularly in relation to the obesity epidemic in adults (67%) and obesity in children (up to 33%), and an impending diabetes epidemic which will certainly cripple an already overstretched health service. And as for the ‘Everything in Moderation’ approach! This has got to be most people’s favourite phrase, because there are absolutely no scientific parameters whatsoever to be achieved (eg 5 portions of fruit & vegetables every day) or to be avoided or to be limited (e.g. sodium & saturated fat) or indeed to be accurately measured (eg cholesterol), ever! It’s like the Xbox Kinect 360 which my kids got from Santa – YOU are the Controller! What may seem moderate to you in relation to one food or another may be extremely excessive as far as the scientific facts are concerned. So no, my dear friend, the ‘Everything in Moderation’ approach is not a good one to follow in order to achieve lasting health or wellness, or prevention of chronic diseases. then add the magic ingredient – Advertising! For every euro that the World Health Organisation spends on promoting healthy eating, €500 is spent by the world’s biggest fast food & beverage companies (sending out pretty much the opposite messages! ), and the most worrying statistic is that 75% of such advertisements are aimed at our children. I wonder how many gentlemen reading this blog are familiar with the product that I like to call “Married milk”?….. Let me explain…. Well it’s more of a rhetorical question really. 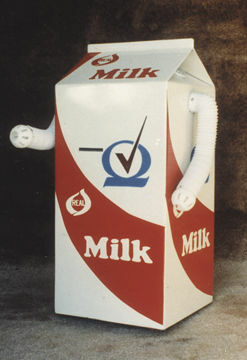 How many men used to drink regular full-fat ‘normal’ whole milk until they moved in with a significant other (female for the purposes of this example) and all of a sudden skimmed milk takes up permanent residence in the fridge without their prior knowledge, consent or any form of discussion regarding their personal preference? Full fat milk, which seems to give rise to endless scare mongering by slimming clubs, is only 3.5% fat anyway, so is naturally a very low-fat food, and need not be banned from your life, married or not! Misinterpreting food labels is another common denominator, particularly among females again (sorry ladies!). I generally recommend that people avoid reading labels unless they are 100% sure of how to interpret what they are reading, otherwise what’s the point? Food labelling is governed by strict legislation but we are still being bombarded by mis-leading and confusing health claims. E.g. If a biscuit is labelled 85% fat free, some of us automatically put it in the basket, but in actual fact it contains 15% fat which is NOT a low fat food at all. Similarly Olive oil is seen as low fat food, but it is 100% pure fat and we continue to use it liberally in cooking! The argument about the different types of fat in such products a different discussion, as the main priority is to reduce the total amount of fat in our diet, which remains well above recommended levels. A food which is seen as an enemy (such as full fat milk) is only 3.5% fat yet the media & non-qualified ‘nutrition advisors’ often encourage us to avoid these foods when trying to lose weight. Research clearly shows that people on a weight reducing diet who consume 3 servings of dairy products per day will lose more weight per week than those slimmers who avoid dairy products, even if they all consume the same number of calories per week! Even after a few simple examples, are you still confident that you are correctly interpreting food labels? Are you confident that it’s not rocket science, that it’s still all just common sense, or that everything in moderation is the key to healthy eating? To know about nutrition ask a REAL dietitian!